Finding the right James Island, SC dentist doesn’t have to be hard. There are several things to consider as you begin your search, like what type of dental care they provide and the convenience of the practice’s location. But you also want to consult with people you trust in order to learn as much as you can. Here are a few ways to get reliable opinions before you make that first appointment. Talk to your friends and family. These are the people who’ll give you the most honest answers. They’ll be straight with you on waiting times in the office, how long it takes to get an appointment, the dentist’s personality, and how the billing process works. Ask your current dentist. If you’re moving, ask your current dentist if they can make a recommendation in your new town. They’ll have insights about the type and quality of care that’s provided. Look at your dental insurance. You’ll want to make sure your policy covers any new dentist you’re considering. If you call your insurance company, they may also be able to give you information about the dentist services that are provided at a particular practice. Ask your state dental association for a recommendation. Each state has a dental association that offers professional development to its members. These groups also offer referrals to the public. In South Carolina, you can use the South Carolina Dental Association’s Find A Dentist feature. Dr. Dale Probst, DMD is a James Island, SC dentist who puts his patients first. From your very first visit, you’ll be able to see why Dr. Probst is so highly recommended. Dr. Probst provides for general dentistry, family dentistry, and cosmetic dentistry services. We believe our dentist’s office provides the best dental services in the greater Charleston, SC area. New patients are welcome, so request your free initial consultation today. Choosing a dentist shouldn’t be a process you take lightly. In fact, you should give just as much time and thought into selecting your dentist as you do any other healthcare provider. 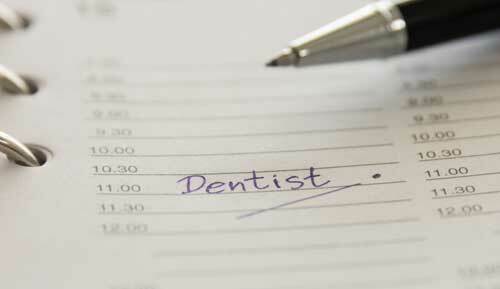 Here are five steps to help you find the right James Island dentist for you and your family. Determine your needs. What type of dental care are you looking for? Do you want to take your children to the same dentist you visit? If so, you’ll want to make sure you find a family dentist. The same goes for cosmetic dentistry and other specializations. Location matters. A dentist who’s far away from your home or office won’t be convenient. Choosing a James Island dentist works well for many of our patients because it’s a short drive from just about anywhere in the Charleston, SC area. The office of Dale Probst, DMD is especially convenient because we’re located near the end of the James Island Connector. Consider the cost. Although dental insurance is not quite as complicated as medical insurance, you still need to verify that the dentist you’re considering will accept it. The office staff should be able to give you an idea of how much certain procedures would cost under your coverage. Are they available for emergencies? Toothaches have a habit of happening at the most inconvenient times. Think about how you’ll receive care if a dentist isn’t willing to come to his or her office after hours to treat you. What’s your comfort level? Above all else, you should feel comfortable talking to your dentist about any questions or concerns you have. The dentist you choose should make you feel like you’re being heard. If you’re not comfortable with them, they may not be the right dentist for you. 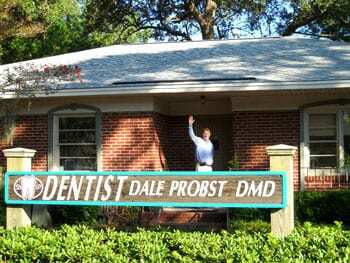 If you’re looking for a dentist in James Island, SC, call the office of Dale Probst, DMD. We welcome new patients for general, family, and cosmetic dentistry. Request your free consultation today! Did you make any New Year’s resolutions? If so, are you keeping them? Many of us start out in January with the best of intentions for improving one or more areas of our lives. However, it’s all too easy to fall back into old habits. The good news is that you don’t have to wait until the end of 2017 to make positive changes for your health. But while diet and exercise often take center stage, your dental health is equally important. As a dentist serving the Charleston and James Island, SC area, Dale Probst, DMD would like to share the following steps you can take for better dental health this year. Don’t forget to brush and floss! It’s just about the most basic dental advice you can get. Brush your teeth at least two times a day for approximately two minutes. Then floss at least once a day, preferably before you go to bed. Use the right type of toothbrush. Toothbrushes that are too hard can actually hurt your gums and teeth. Softer bristles will clean better and be more comfortable for you. Replace your toothbrush on a regular basis. Just because your dentist gives you a toothbrush doesn’t mean you should use it until your next visit. The American Dental Association recommends replacing your toothbrush every four months or when the bristles start to look worn. Brush your teeth correctly. 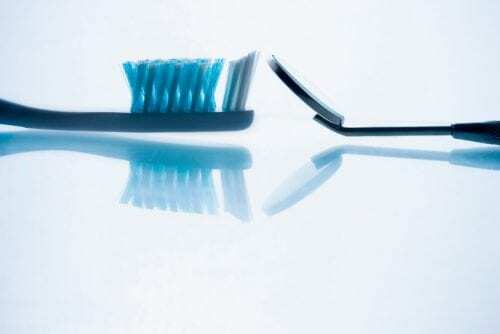 Did you realize that improper brushing techniques can be bad for your oral health? To really make it count, brush with gentle, short strokes. Hold your toothbrush at a 45-degree angle and make sure you cover all surfaces of your teeth. Visit your dentist twice a year. Regular visits to your family dentist will help your teeth and gums stay in the best shape possible. While you’re there, you can also receive advice on cosmetic dentistry or other services. If you’re looking for a cosmetic, general, or family dentist near you in Charleston or James Island, SC, call the office of Dale Probst, DMD. We’re currently accepting new patients and would love to welcome you to our practice. Call today for an appointment. Welcome to the office of Dale Probst, DMD! We look forward to using our blog as a way to share information with our patients throughout the Charleston and James Island, SC area. As a general and cosmetic dentist, Dr. Probst’s first and foremost priority is to help your family achieve the best oral health possible. Our practice has many tools and techniques to help us accomplish that goal. It all starts with our friendly, caring staff. Over the years, Dr. Probst has built his practice and his reputation by providing the best dental care possible for patients of all ages. Routine cleanings and exams are the foundation of any care plan. Visit us twice a year to make sure your teeth are clean, healthy, and strong. If we identify any problems, such as cavities, we’ll make sure they’re fixed as quickly as possible. We offer fillings, repairs for cracked and chipped teeth, root canals, and other services to keep your natural teeth in good condition. While you’re here for a cleaning, Dr. Probst will also recommend any other treatments that will improve your smile. These include an array of cosmetic dentistry services. From Zoom! tooth whitening to tooth-colored fillings, we can give your teeth a brighter, more youthful appearance. These treatments are relatively affordable and are quick ways to make your smile better. For more challenging issues, we offer porcelain veneers, esthetic crowns, and dental implants. These treatments are more intensive but can truly transform your appearance. All too often, we overlook the importance of healthy, beautiful teeth. But improving your smile can lead to more self-confidence and self-esteem. It can even help you lead a more successful life. If you have teeth that are painful, discolored, misshapen, or that have uneven spaces, don’t put off seeking treatment from a dentist any longer. Dale Probst, DMD is here to help. We’re currently accepting new patients from the Lowcountry. Call our office today at (843) 795-3332 to make your appointment.